I was so happy to see Daisy still had her original 1960s cooker, which looked cleaner than mine! I love the colours and popped a few of the removeable parts into the dishwasher. They came up gleaming! Daisy had two gas lights, I may have saved them if they had still had their original glass surrounds. 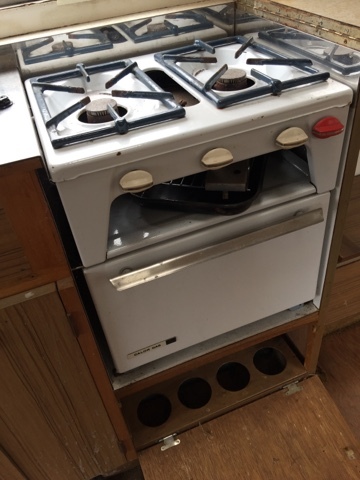 The decision was made to remove them, only the oven will be hooked up to the gas. We have a lovely gasman working on all her pipe work, and while he had her oven out I cleaned all the hidden places! 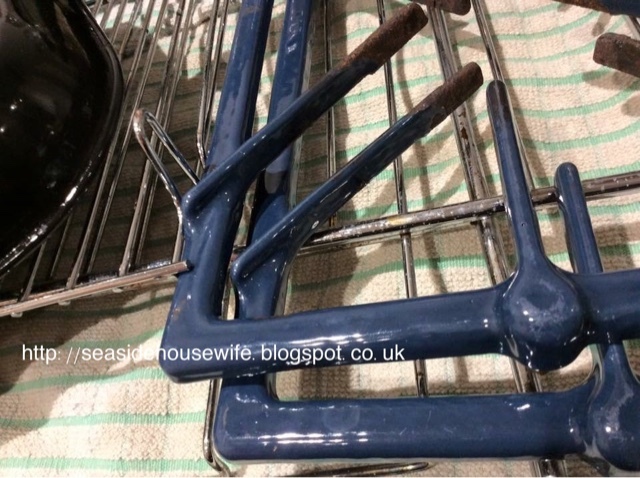 Am so excited about this part of Daisy's restoration, cooking is so important to me and it's like the heart of the home! So it will be amazing to cook on her oven. Fingers crossed as till we hook her up, we won't know that she works!! Well SHE WORKS!! 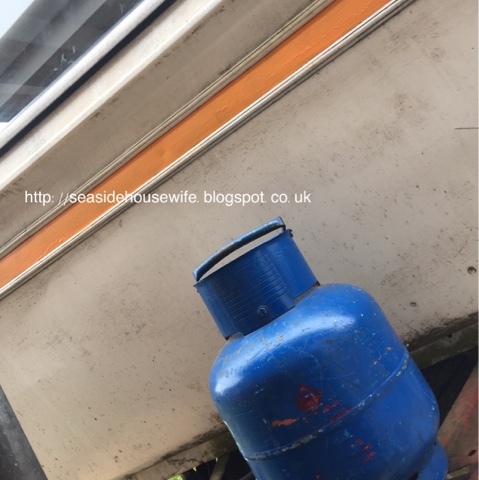 So excited to update this blog, such a wonderful gasman only got her 1960's oven working!! 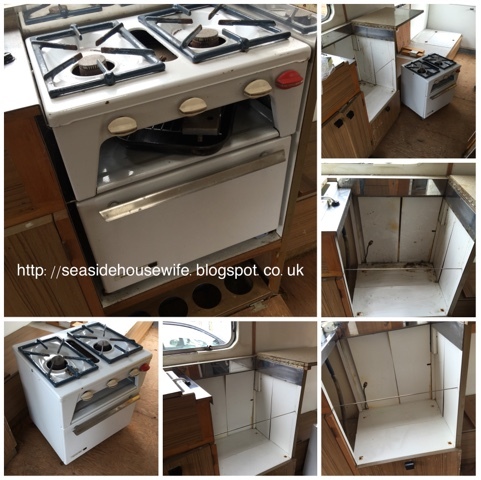 I can't wait to cook on her, even boiling the kettle in our van is going to be so much fun! She now has her very own gas bottle, will have to get her a second one when I have finished her off. So excited. Click here to see what we have done with Daisy!